Award winning portrait artist Steven Rosati is nationally recognized for his style and technique that comes down to him from old European masters. He studied art in schools both publicly and privately in Montreal and Toronto. However, he considers his real education to have taken place with endless hours in art museums around the world, where he studied first hand the work of portrait painters from the fifteenth century to the twentieth centuries. Among the many masters whose work continues to inspire him are DaVinci, Van der Weyden, Holbien, Bronzino, Ingres, Bouguereau, Annigoni, Meredith Frampton and many contemporary portrait artists. His commissioned portraits include Ludmilla Chiriaeff, founder of Les Grands Ballets Canadiens, the Rt. Rev 'd Andrew Hutchison, Anglican Archbishop of Montreal, several McGill University professors, sports personalities, musicians and business people. 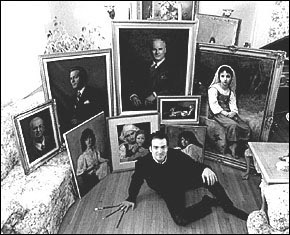 His portraits are in many private and corporate collections. Rosati is a member of the Portrait Society Of Canada and America. A 2011 finalist in the Kingston Prize. 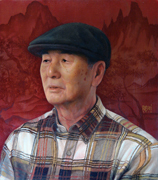 A finalist in the 2010-11 Art Renewal International Salon figurative category. 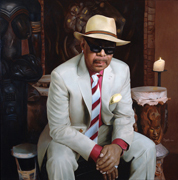 Third- place honorable mention in the 2011 Members Only competition for the Portrait Society of America. Winner of Professional Artist Magazine Cover Contest May 2012. In addition, Rosati is an Art Ambassador for Canson and Royal Talens. He lives in Montreal with his wife and their two sons.